Cryptocurrencies or digital currencies are here to stay in 2019 and would probably flourish more as more and more mainstream financial institutions adapt the digital currencies. Like 2018, 2019 promises to offer all the opportunities to get rich again if you know how to make the right moves in the digital currencies market. 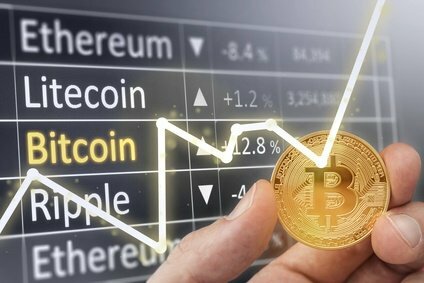 2018 has remained a troubling year for the cryptocurrencies as major digital currencies including Cryptocurrencies witnesses a sharp decline in their prices and faced significant volatility in the market. But 2019 is going to bring in more positive change in the digital currencies market as its transition to mainstream currency begins in 2019. Many suggest that year 2019 will be the year of regulations for the cryptocurrencies. In this year, there will be more mainstreaming of these currencies as more regulations would allow major financial institutions to develop the infrastructure to trade in the cryptocurrencies. Facebook is also planning to implement digital currencies especially in its whatsapp platform through which users can send remittances in the cryptocurrencies. It is believed that facebook is in the process of designing a cryptocurrency for its users to send remittances through whatsapp by using its own digital currency. This is exciting news as cryptocurrencies will be in reach of billions of people using facebook and whatsapp to trade in cryptocurrencies with ease. It is also suggested that the volatility in the market will subside as more and more regular investors jump into the market due to regulated activity. This reduction in price volatility will provide confidence to more mainstream investors to trust and invest in the cryptocurrencies. The settlement procedures will further be strengthened thus giving confidence to investors to adapt cryptocurrency. Understanding cryptocurrencies can be harder for common investors. They are created and mined through computer systems therefore its pricing mechanism is often difficult to understand. In 2019, it is largely expected that the pricing of the digital currencies will be more transparent and open. Investors who would otherwise be deterred from entering into the market will get into the market due to more transparent pricing mechanism being set up. Many exchanges are now providing detailed pricing charts, historical prices, hi-low price variations during the day etc to make price discovery as efficient as possible. In 2018, it was largely witnessed that the investors were unaware of the pricing changes in timely manner but with new and improved pricing mechanism in place, investors will have ready availability of the pricing. As digital currencies evolve, exchanges will come up with more and different types of derivative products for the investors. Many exchanges are currently offering futures, mini-futures, leverage buying and other options. The availability of futures to investors will provide the required liquidity to the investors who will then can use these futures to buy and sell easily on the market. This is certainly going to provide a great opportunity to investors to not only hedge their exposure but would also allow them to have access to liquidity in the market. One of the recent studies suggest that 1 in 7 Chinese have actually invested into the cryptocurrencies. This is great news for the digital currencies as its acceptance is increasing in the markets which traditionally shied away from it. The key factor is the fact that this demand from China is emerging from people who were born after 1990s. The interest in cryptocurrencies from the young generation of China is surely going to give an unexpected boost to the cryptocurrencies in 2019. If this demand sustains, it is expected that the prices will rebound and there will be positive upward trend in major cryptocurrencies’ prices. Year 2019 will surely be most exciting year for cryptocurrencies as it is going to offer new and exciting improvements in the way digital currencies are traded. With more mainstream organizations jumping into the market and an increase in investment from China, 2019, will be an exciting year ahead for bitcoin and other digital currency lovers.